Back on market, renovation now complete! Lovely upgraded one-story 1,716 sq ft home in the highly desired Glenmoor neighborhood! This is a 4bd|2ba home w/ an excellent floorplan including a formal living room w/fireplace and a spacious family room/kitchen combo w/a second fireplace and French doors to the backyard patio. Kitchen has brand new quartz counters and backsplash, maple cabinets with lots of storage space, stainless-steel double oven, 5-burner gas cooktop and Bosch dishwasher. Many upgrades including fresh interior paint, upgraded baseboards, beautifully refinished oak hardwood flooring, laminate flooring, new master bath shower. Other fine features: dual pane windows, copper pipes, upgraded composition roof. Enjoy the private backyard w/patio, pergola and a beautiful minimal landscape. 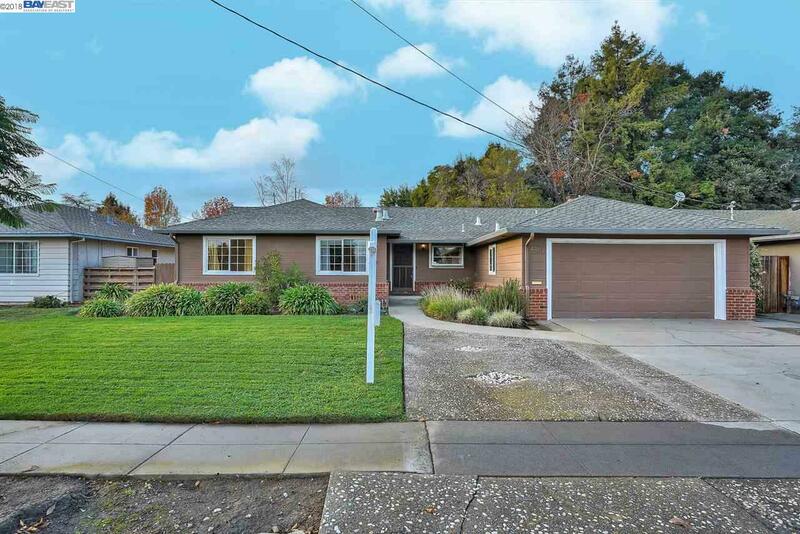 Perfect location for commuters - close to 880, 680, Dumbarton Bridge, Niles Canyon, ACE & BART. Right around the corner from the park, shopping, entertainment, restaurants, and great schools!